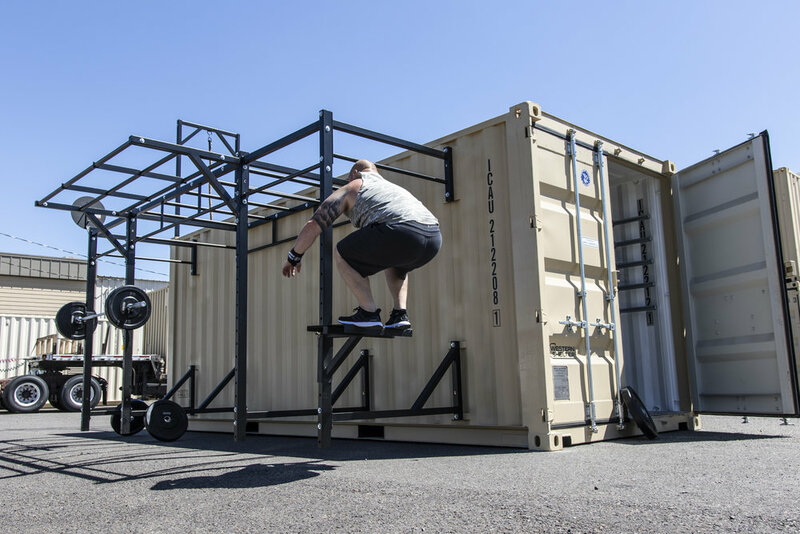 We are excited to introduce the Western Shelter StrongBox Ruggedized Strength Training System, an all-in-one performance fitness solution anchored by a secure container. The StrongBox R.S.T.S. contains everything needed to get a total, full-body workout in the field. The heavy duty StrongBox RSTS is designed to stand up to the rigors of repeated reps and deployments. 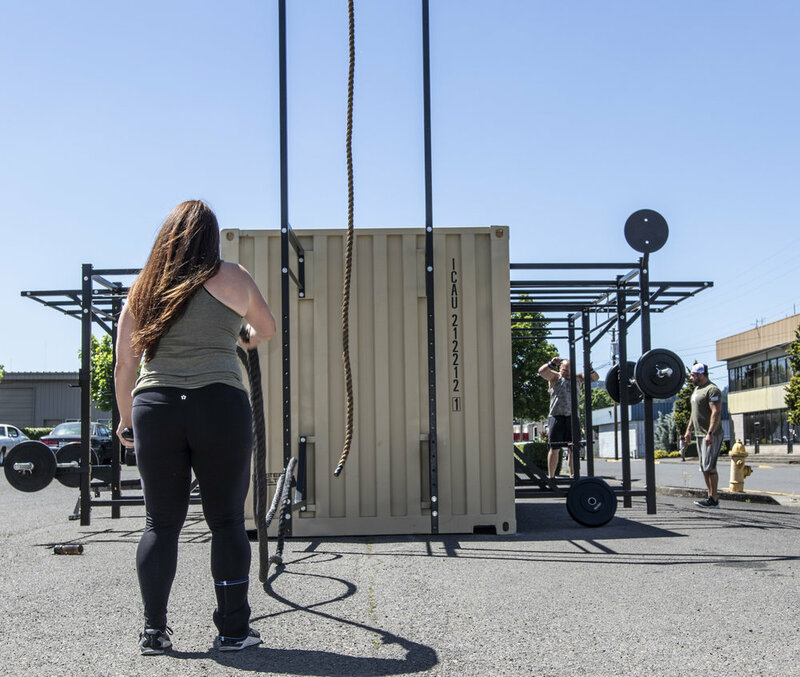 With pull-up bars, squat racks, wall-ball targets, box jump platforms and much more, it’s a turnkey fitness solution that can be placed practically anywhere. Our patent pending design utilizes the container’s core stability to support the attached racks without requiring the legs to touch the ground. This allows the container to be placed on an uneven substrate creating a better, sturdier solution in the field. 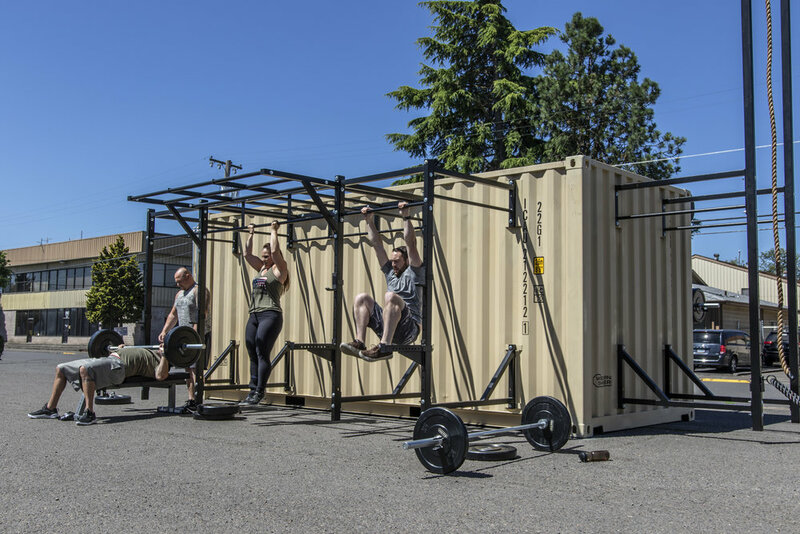 All of the included fitness equipment can be stored inside the container. Barbells are easily stored with included racks. The interior of the unit also could be configured to include A/C, laundry, or even a small workspace. The StrongBox R.S.T.S. is inherently configurable. 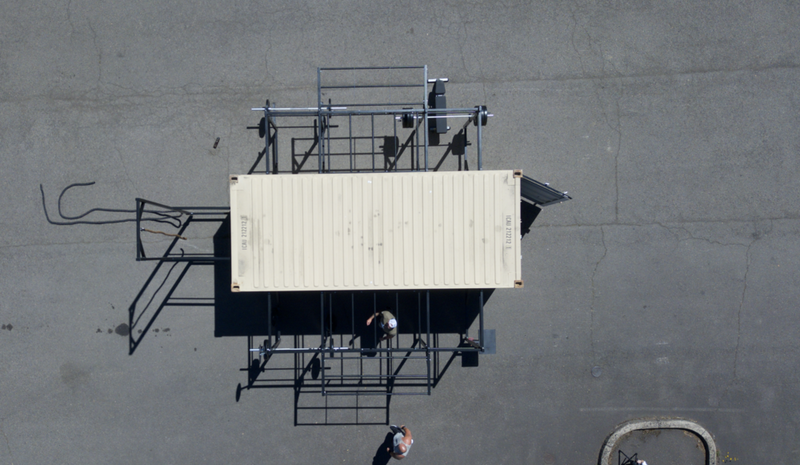 It is available in both standard (20') and BiCon (10') container units and can be outfitted to fit the exact specifications of your mission. 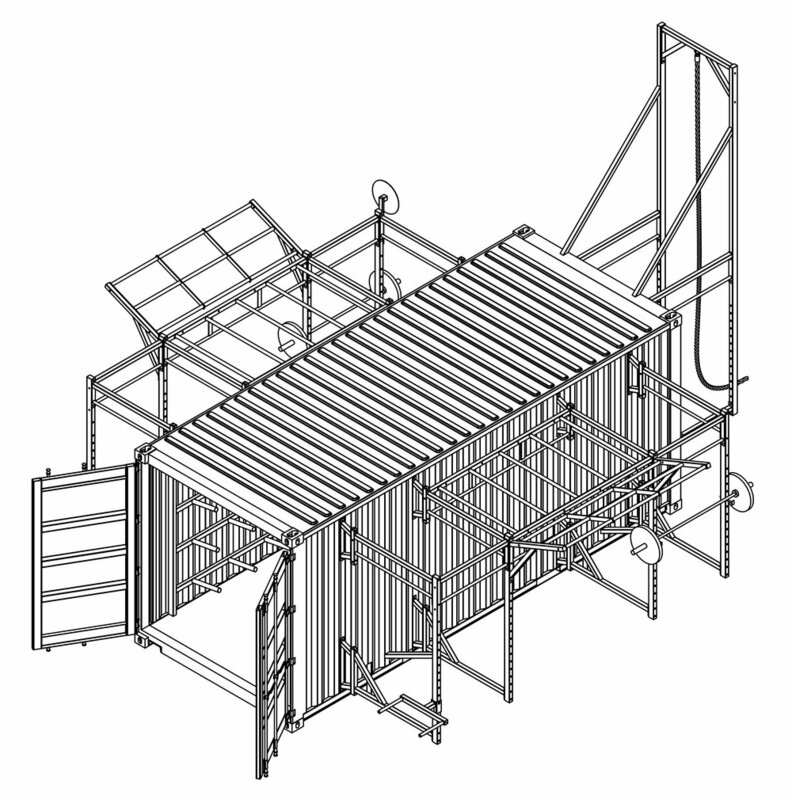 We also have the capability of creating larger units, or fitness systems by combining multiple single units. We are now taking orders for the StrongBox R.S.T.S. Please fill out the form if you are interested in receiving a quote. Our sales team will contact you directly. Please include any specifics or custom requirements below. Are you interested in ACFT equipment?